On the 22nd of March, there is going to be a talent show where a small amount of people are going to be performing, they will be doing lots of different acts. Things to look forward to include comedians, magicians, singers, dancers and more. There will also be a teachers audition, where the LSA`s do something funny. On the 7th of march 2019, Thursday. The whole school dressed up and did many activities below I will list some of them. The year sixes read to year fours and had feedback of their books and outfits. The year fives and threes did the same. Everyone dressed up as their most favourite book character, for example I dressed up as Luna Lovegood, from Harry Potter. There was a great competition where every class had to vote on which face matched the author. Look below for some reviews of our favourite books. Blog club have been working hard coming up with some riddles for you to puzzle over. If you think you know the answers to our riddles, write them down on a piece of paper. Hand in your answers to a member of blog club (names and pictures can be found on our last post) or Mrs Smith from Warhol. Correct entries will be entered into a prize draw with the chance to earn lots of merits for your colour team. 3rd prize = 5 merits 2nd prize = 10 merits 1st prize = 20 merits. All entries must be received before 12pm on 4th February. There was a lady who lived in a bungalow she had pink furniture pink walls and pink everything what colour were her stairs? If there was 10 people on the bus and 9 people got off what is the name of the person left on the bus? If a boy got locked out of the round house, and the boy was trying to find out who locked him out, his sister was doing her homework, his mum was in the kitchen, his dad was at work, his maid was cleaning the corners. Who locked him out? A farmer combined 2 compost heaps with 3 others. How many compost heaps does he have? How do you make the number one disappear? You are in a locked building when tons and tons of poisonous SNAKES drop down on top of you. You just make it out of the pile and try to escape the building but the only way out is 3 lifts. One is full of more snakes, another lift full of poisonous water and the last full of poisonous spiders. Which one do you choose? If a yellow house is made out of yellow bricks ,a blue house is made out of blue bricks, red house is made out of red bricks what is the green house made out off? The more there is, the less you see. What am I? Marys father has 5 daughters called nana nene nini and nono. What was the 5th daughter called? What is so fragile that even saying its name can break it? We hope you have had fun. 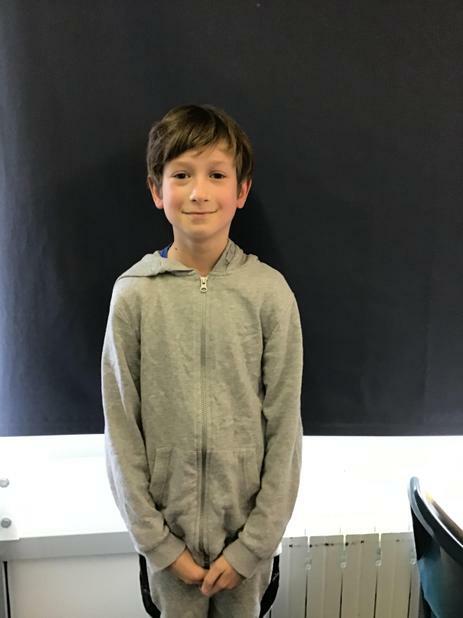 Welcome back to the King's Furlong Junior School blog, we have a new group of students this term and we are really excited to share with you what is going on in our school. But first let us introduce ourselves. Hi I’m Brooke and I am back to do blogging again. My hobbies are gymnastics, dancing and swimming. I have 2 guinea pigs called BlackBerry and Hazel they are both very cute and fluffy. I’m in Green team and I am the team captain and it is very fun. I’m also JRSO which means Junior road safety officer. 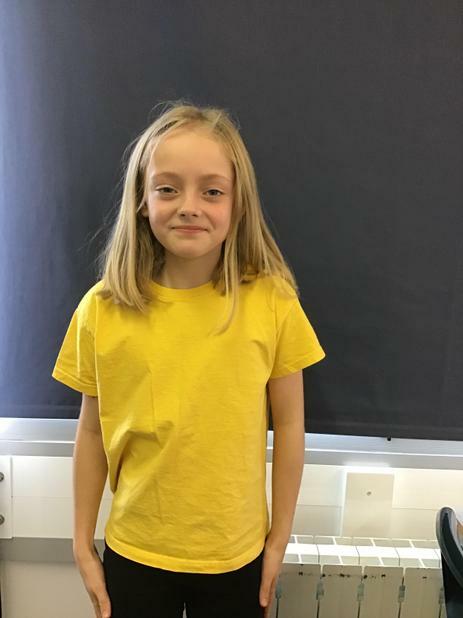 Hi I’m SOPHIE and I’m in Year 6-Warhol! My hobbies are gymnastics, dance and swimming. I belong in the colour team yellow. My favourite subject in school is math especially addition. At the moment I have 2 cats called Cookie and Oreo (who are black and white and very cute). 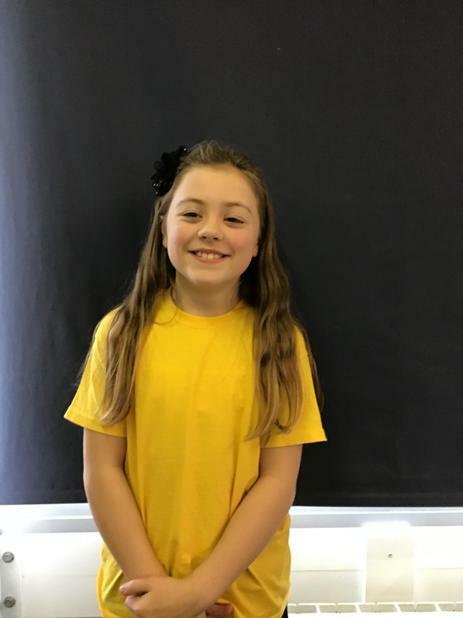 Hi i'm Nyah and i'm in year 5 Kandinsky , my hobbies are Gymnastics and Ice skating. I am a JRSO and belong in the yellow colour team. 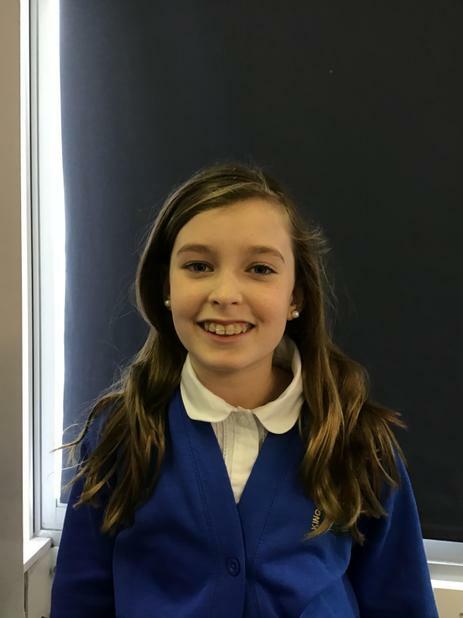 Hi I’m Maisie and I’m in year 5 and I love art and maths. My hobbies out of school are aerial silks which is silks that hang from the ceiling. I was born in Basingstoke I have a dog and he is very annoying. I’m in Piccaso Y5, I’m excited but nervous for PGL in Y6. I don’t have any pets, but I love animals. Hi I’m Antoni, and I’m in Kandinsky. My favourite subject is math especially division. My hobbies are coding and helping my dad fix cars. My Birthday is on 5th February. I have one hamster and one cat. Times tables are a good way of learning multiplication. Here are some examples of times tables: 6x2=12, 9x9=81, 12x3=36, 9x12=108. If you think you are good enough, come and test your times table knowledge. There will be a times table quiz for Year 5 and 6 children on Wednesday 28th November 2018 at 12:30pm in Warhol. On 5th December 2018 Year 3 and 4 children will have a go on the times tables quiz. Lower School winners and Upper School winners :1st will receive 15 merits, 2nd will receive 10 merits and 3rd will receive 5 merits. Come and meet Dylan and Mrs Smith at Warhol on 28th November and 5th December. 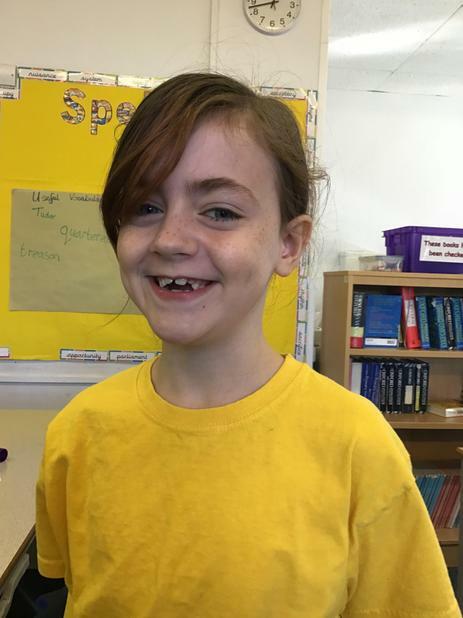 An Exciting Week for Year Five! 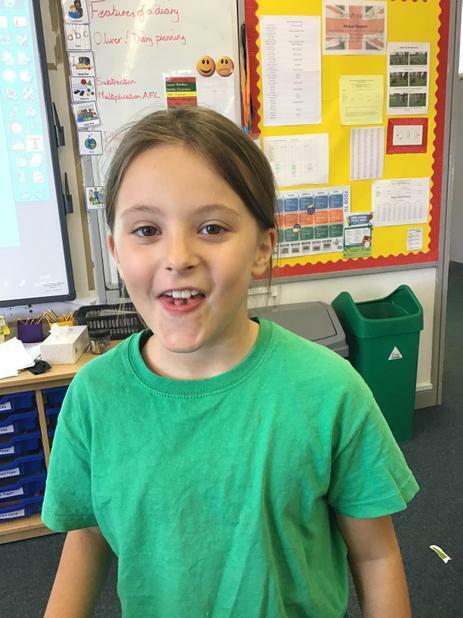 Last week was an amazing week for year 5 filled with education and fun. We started with the optional star gazing night, then visited a planetarium in the school hall and ended with planet art. On top of all this space-tastic learning we also fitted in a harvest related assembly for the rest of the school and parents. During the week, Y5 had an exciting evening at KFJS. We had a look at planets by using an app called sky view. The app is downloadable at home and it tells us the constellations and the names of planets and where they are. To get a super view of the sky above why not lay back and use the app to gaze at the sky above. However, be warned if people come into your view it may confuse you into thinking they are a planet. Brooke almost offended her mum by thinking she was a planet! 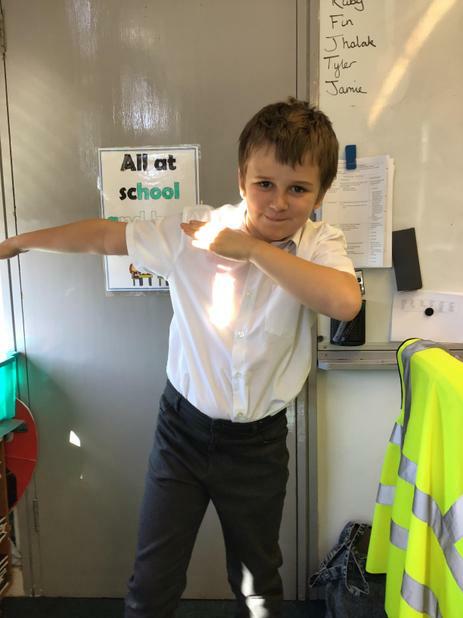 We are the year 6 bloggers and we’re going review the year 5 harvest production/FoodBank. The year fives did a wonderful play about FOOD BANK and harvest. The production contained lots of information about where our food comes from and the fantastic role of the Food Bank who have helped out 10,920 families in the last 6 years. Don’t forget: Year 5 are running a competition to see which class can bring in the most food to help the Food Bank. Hello and welcome to KFJS blog. 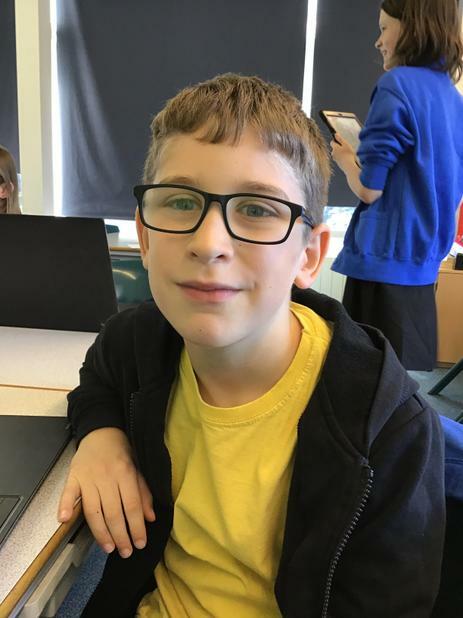 This is a blog run by the pupils for the pupils and we hope to keep you up to date on all the news and events going on in or school. If you have any ideas of what we should include please do let one of us know or let Mrs Smith know and she will pass the message along to us. We aim to update the blog every Monday with stories we think will interest you, but first let us introduce ourselves. Hello my name is Laura and I go to Kings Furlong Junior School. 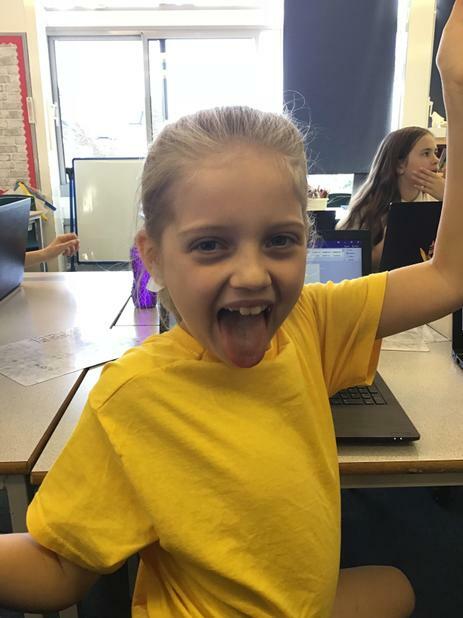 I am in year 5 and are really enjoying it. This school is amazing and would recommend this school to parents looking for a school for their children. I love to do gymnastics and go to a club at the active life centre. It is lots of fun. At this school the teachers are really kind and will only be strict when they have to be. My favourite subject is history. The history projects are fantastic and really interesting. 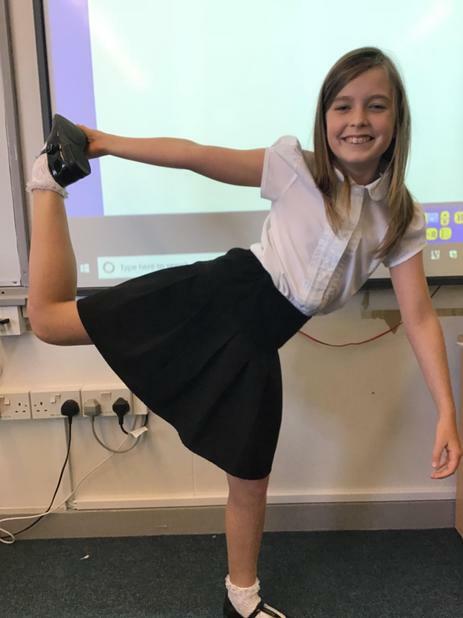 Hi, my name is Amelie and I am a proud student from year five. I love KFJS, we do maths and English of all sorts as well as awesome projects and trips. This school is hard to hate with the teachers always ready to teach in the most fun way possible and ready to help with your personal needs. Break times here are great with a wide range of dinner ladies and very scarce bullying. Lunch has great dinners and equally as good puddings. 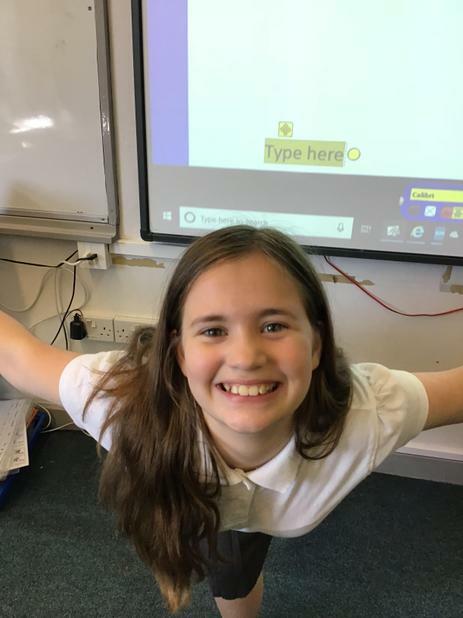 Hello my name is Brooke and I am in year 5 . My favourite subject is maths because I find it very fun and easy . My hobbies are judo and crafts. Hello my name is Elliot. Here at Kings Furlong Junior School we do all sorts of different activities. One of the best things about our school is the play time buddies. I greatly recommend this school to you as it has lots of clubs and sports. Two clubs I enjoy are art club and blogging. 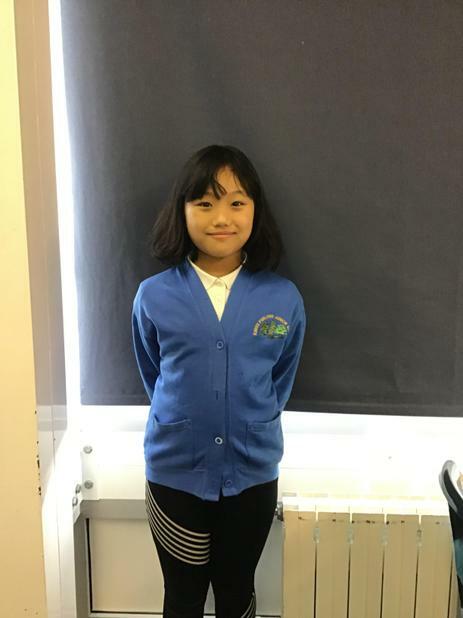 I am Lily and it is a great school as everybody is happy and unique. The teachers are nearly always smiling. I love to do art as you can do whatever you want and it can’t be bad. I'm Anya. I do gymnastics and compete in lots of different competitions. 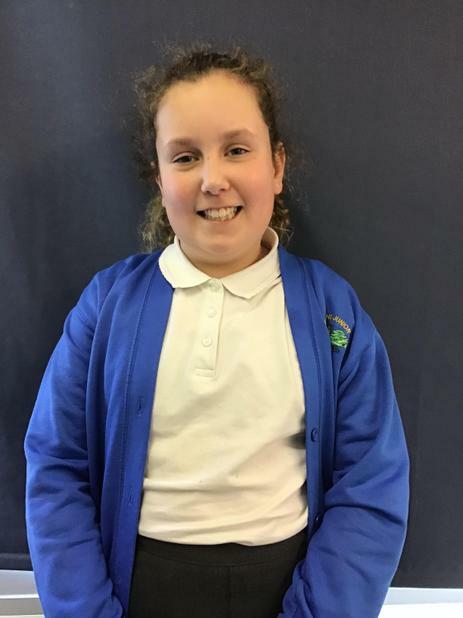 I am a school councilor and playtime buddy so at break times come to me if you are feeling lonely. I am a good friend to have and I am always loyal. Hi, my name is Amelia. I feel very lucky to be a part of our school. I love reading and A series of Unfortunate Events are my favourite books. 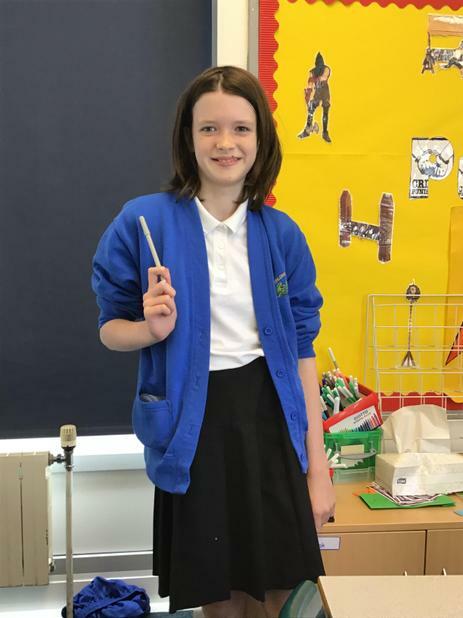 My name is Niamh I am in blue team I like swimming and Harry Potter. My favourite subjects are English reading and art. I’m Dylan and I love Football and Maths. I like these things because they are so good and they mean a lot to me. I am from Red Team. Our School develops children from 7 years old to 11 years old. That means that all our pupils have 4 years of hard work and learning. We grow and learn together!! I am very proud to be a student of Kings Furlong Junior School. When you continue on this blog, I’m going to tell you more about our fantastic teachers, school clubs and more. Hello I'm Brooke. I’m Green Team Captain and JRSO and I love to dance. I’m even the south east street dance champion. The best thing about school is that we get to choose from a range of clubs at the minute I am doing netball and of course blogging. Also my favourite subject is English and I love doing art it is really calming my favourite activity in art is using pastels.